Our vision, mission and family values are at the heart of who we are. 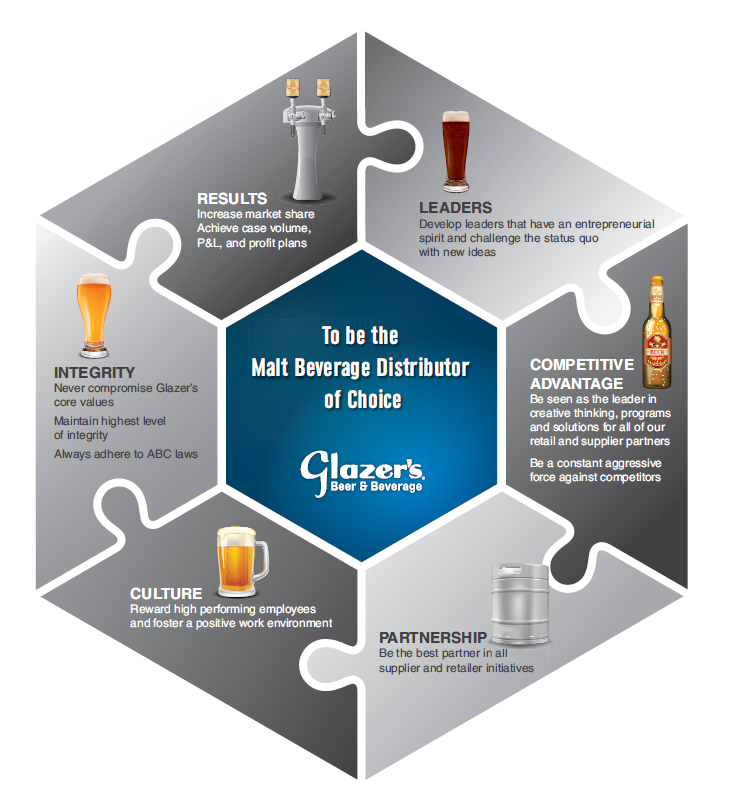 Today, Glazer’s Beer & Beverage is one of the most successful sales and marketing organizations in the wholesale beverage alcohol distribution industry. We’ve got to where we are following a focused vision and a few important principles. To be the adult beverage distributor of choice in marketplaces throughout the world. To provide superior service and develop positive relationships with diverse suppliers and customers in order to build a world class company that will enable Glazer’s Beer & Beverage to invest in our people, brands, technology, facilities and communities.